I know you’re getting a lot of advice right now about what breed of dog to get for your kids, and I’ve seen a few news outlets suggest that you should consider getting a French Bulldog. Mr. Obama, as a committed owner and breeder of French Bulldogs, I’d like to offer my own advice to you about your choice of dog – do NOT get a French Bulldog. Perceived ‘sympathy for France’ will be bad for your image. France is still wildly unpopular with some Americans (remember the whole “Freedom Fries” fiasco?). Frenchies will ruin the White House carpets. Frenchies are notoriously, ridiculously hard to housebreak. Imagine the field day Fox News could have if, one month into office, Michelle has to order new carpets for the entire place? 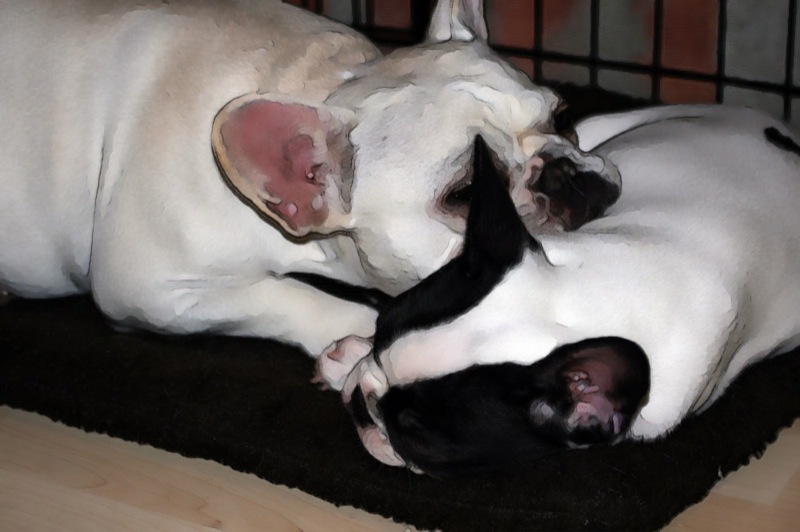 French Bulldogs are stubborn, tenacious, and difficult to train. Forget Barney nipping a reporter – your Frenchie will jump on, bark at, chase and otherwise paparazzi-ize every reporter within a five mile range. A badly trained dog might be used to insinuate you are unable to provide strong leadership – again with the Fox News opportunities. 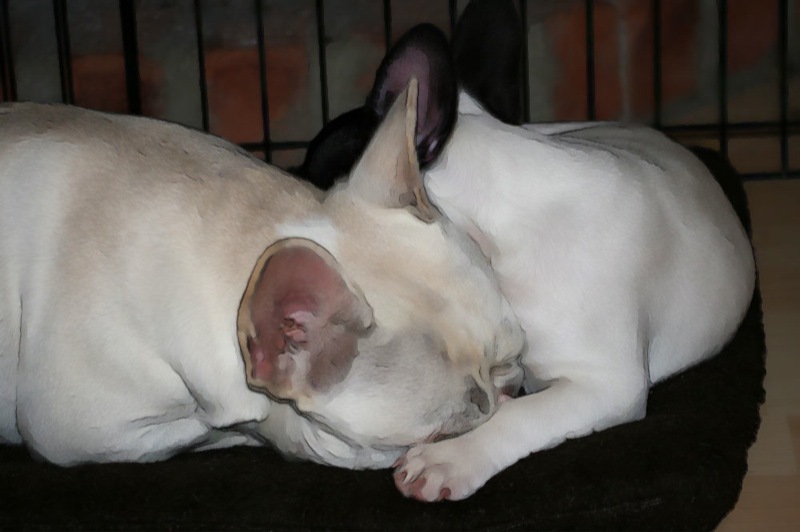 Frenchies are expensive, which could lead to charges that you’re elitist. In this time of economic crisis, no one needs that sort of analogy being made (probably by Fox News). King Edward owned a French Bulldog. This could lead to allegations you’re a closet Monarchist. Toulouse Lautrec owned a French Bulldog. This could lead to allegations you’re pro syphilitic alcoholics. Or even worse, pro Artist. 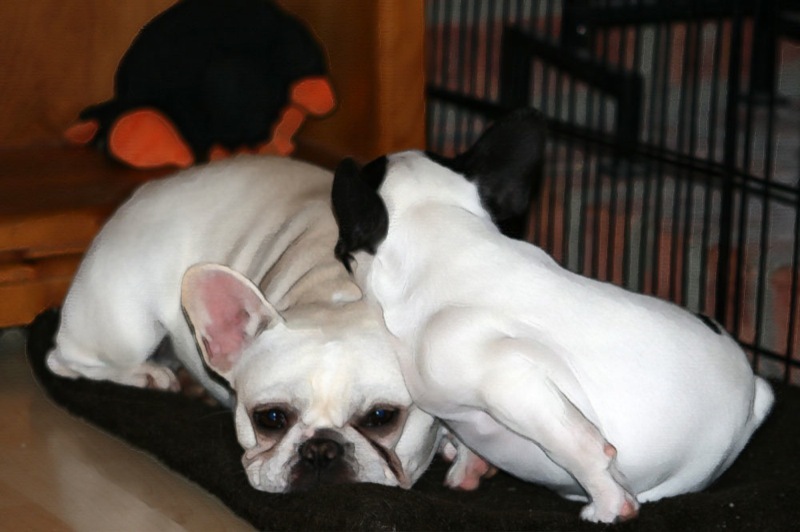 French Bulldogs were favored pets of Parisian Prostitutes. This could lead to allegories about Kennedy and Clinton. Wait, that one might not be all bad. On the downside, you could be perceived as being pro Jimmy Swaggart. French Bulldogs chew stuff, and the White House has a lot of stuff that would be more expensive to replace than the pine broom closet my puppies just ate. If you think Neiman Marcus suits are expensive, try pricing an Oval Office desk. The best reason for you to not get a French Bulldog, Mr. Obama? It’s because we don’t need the publicity. We’ve already got Ellen, and Martha, and slew of other celebs getting their faces splashed all over the newspapers, usually with dogs that they bought on a whim at a pet store. Our rescues are already swamped, our breed over run with poorly bred, badly tempered dogs that make all of us worry about the future of the dogs we love so much. So, please Mr. Obama – don’t get a Frenchie. Get a shelter mutt — better still, a private rescue mutt. One of no determinate heritage (although it would be nice if there was a preponderance of Pit Bull in there, just for the good press in it for you and for Pitties in general). A nice little Pibble would be an asset to your kids and to your peace of mind (the world can be a scary place, and a Pit Bull has nice, broad shoulders for your family to lean on). Just don’t put lipstick on him or her, and it should all work out fine. Just please, leave the Frenchies alone — we have enough problems as it is.